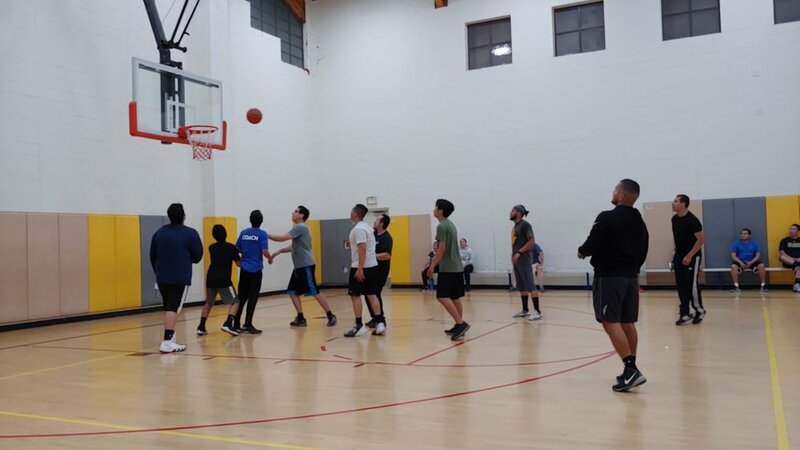 On Friday, April 5, 2019, Leadership Club hosted a very successful Parents vs. Staff Event. Leadership Club is comprised of 10 very enthusiastic and dedicated 2nd through 6th grade students. They have made it their goal to plan and carry out events not for a specific crowd, but rather for families, where everyone can feel included and invited. For two weeks, the Leaders were out in the patio during sign outs recruiting parents and families to take part in the event, which included two games with an intermission in between. Club members were also able to recruit nine staff members, who graciously volunteered their time to make this event possible. Our parent/family turnout was a lot higher than expected, which made the event much more exciting. We had a total of 15 family members participating in our games, which included moms, dads, siblings and cousins. All of this versus our 9 staff members, led by Daniel Rodriguez, who helped orchestrate the entire event, from planning the activities, setting up the gymnasium and explaining the games and rules to our parents. Another thing that was quite thrilling to see was the support families had for each other. We not only had the participating parents in attendance, but also a half dozen families (wives and children) cheering on their team. The event began at 6:30pm, after some of our DDKC clubs sold some snacks for parents and guests. Our first game was a battle of Biome Wars, which was very intense since families outnumbered our staff members. We ended up playing 9 rounds due to parent request because they enjoyed the game so much. It was a very tight game, but parents ended up winning this sport 5-4. It was fun to watch our moms go into the game nervous but come out as warriors, as they soon lost their fear after the first couple of rounds. After a short intermission, we began the highlight of the night, a 5 against 5 basketball match. Initially, we had only planned on playing two 10-minute halves, but parents wanted to keep the game going. 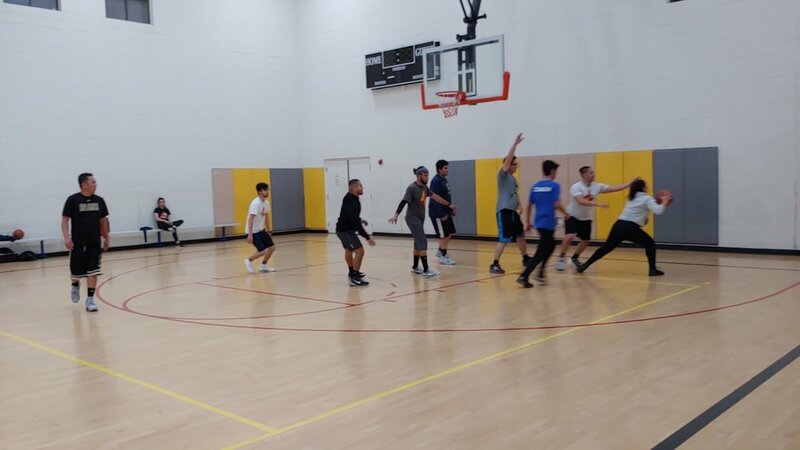 Another 10-minute quarter was played after a quick water break, and although by the last quarter parents got close, our DDKC staff members won the basketball game 16-14. I’m pretty sure the game would have kept going if our staff members would have had more people to sub as the parents’ team had. By the end of the night, a couple of parents left saying we should do this more often (one even requested once a week). A few more fathers requested we do a soccer match next time. It was quite satisfying to see all the families leave with a smile on their face, no matter how tired they felt. I ran into two of the moms at our SFS games the next day, and they were both still delightfully talking about how fun the previous night was. I personally am not a sports fanatic, but I can honestly say that I haven’t had this much fun at an event in a long time. The Commission on Ministry welcome two new members from COS!